This course is taught on the Troop level, usually within a week or so after Senior Patrol Leader and Patrol Leader elections. Organized by the Scoutmaster, this is where the newly elected Patrol Leader’s Council develops its goals and objectives for their term as the Troop’s Leaders. 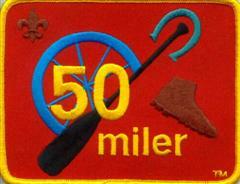 Check with your Scoutmaster for more specific information. A district level course directed and taught by older Scouts for the purposes of modeling a boy-run campout and teaching camping skills. An intense, 5½ day, outdoor leadership training experience for troop youth leaders. Its principle function is to help Scoutmasters by training their top boy leaders in the skills of leadership. This course is a National BSA-developed course that closely parallels the material provided in the 21st Century Wood Badge training for adults. This course is offered by the Circle Ten Council. This course is the ultimate in Leadership Training. It is run by youth, hand-picked from across the country representing some of our future’s most outstanding leaders. Any Scout interested in staffing an NYLT course or aspiring to be his troop’s SPL should consider attending NAYLE. This course is offered by the National BSA Council. The Den Chief is a critical member of the Scouting Leadership Team. Den Chief Training is intended to build enthusiasm for the job and teach the skills the Den Chief will need to be successful. This training combines fun and enjoyment with an excellent character building experience. Participants will learn leadership, organization, how to work with adults to solve problems, and, most importantly, how to encourage and work with Cub Scouts while being a role model. My first reaction to this is that we do this already. Every time we have elections, and pick new leaders, we hold what we call Introduction to Leadership Skills. This is typically done in a classroom setting for all newly elected Leaders. We also train them in Scout skills and by reflecting on our activities - thinking about what works and what can be improved. This gives us the opportunity to teach leadership skills but also to teach the application of those skills. Trust is defined as 1) a reliance on integrity, or ability of a person or 2) a confident expectation. To me, this means that we are relying on the HONOR of our Scouts AND on the training that we have given them. Therefore, since our Scouts have integrity and because we have trained them with the skills and knowledge necessary, there isn't any reason for us to hover over our Scouts or watch them out of the corner of our eyes. This is probably the most difficult piece to implement but it also probably the most important. It is the most difficult because adults want to be helpful, so they offer guidance or jump in when they see something that needs to be done. However, unwarranted guidance or interference DISCOURAGES leadership because our "leaders" then do not feel as if they are really leaders. It is also hard for us, as adults, to stand by and watch our kids make mistakes, but this is how they learn! Our job is to encourage them to try again and help them learn from their mistakes. Then, when our leaders are successful, to praise them. To paraphrase Baden Powell, the only way to get real results from using the patrol method is by giving our leaders real, free handed responsibility and of course, the patrol method isn't a method of running a Boy Scout Troop, it's the ONLY way! Reflecting the best of nearly a century of Scouting experience, the course draws upon the most current leadership models used by corporate America, academic circles, and successful outdoor organizations throughout the country. It builds on the best traditions and experiences of Wood Badge and also draws from a wide range of sources within and beyond the bounds of Scouting to present the latest in leadership theory and team development. Wood Badge 108 staffers are working hard to prepare for this course, being held at Camp Wisdom / Billy Sowell Scout Camp, January 24-26, 2014 (weekend 1) and February 14-16, 2014 (weekend 2). You don't want to miss this training opportunity! Please click here to visit our WB108 course page. Welcome to the Merit Badge Network. This site is dedicated to providing scouters with a common place to find and register for Merit Badge Events. How many merit badges are there? 136 merit badges covering a wide range of interests. Take a look through the merit badge list and find something you will enjoy. You will be surprised to see how many of the things you do in your daily life, sports, taking care of your dog, working on family projects or reading fulfill merit badge requirements. Review the list of merit badges and badge requirements to select a badge. Get a copy of the Merit Badge Book, from the scout store or borrowed from our Library. Contact the counselor and ask them if he or she is willing to work with you. Meet with the counselor to discuss the requirements and completion steps. Meet with your counselor as needed to review your completed requirements. The counselor will sign the blue card indicating his or her approval. 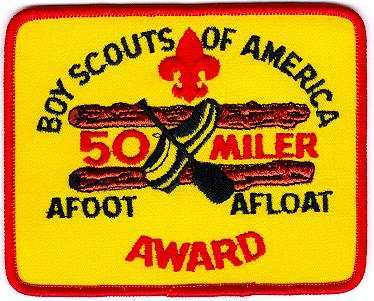 Receive you merit badge at a future meeting or Court of Honor. For each merit badge there is a merit badge book to guide you through the requirements. The books are for sale at the Scout Store or you can borrow from another scout or you may be able to borrow one from the Troop Library. As a quick reference, the Scout Store also sells the Boy Scout Requirement book. You can also find a wealth of information including the requirements and various help resources at http://meritbadge.org/./index.php?title=Merit_Badges or http://www.usscouts.org/meritbadges.asp . Many leaders in Troop 195 are counselors and ready to help you. The list is in the Troop Library. Once you have a name, you should contact the counselor to make sure that they have time available to assist you. Before you meet your counselor you must obtain a Blue Card from the Scoutmaster. It is a three-part card that your counselor will use to record your achievements. I need to approve that you are ready to work on the badge. Once you have completed the requirements, the counselor will return two sections of the card to you and you should submit those two sections to the adult advancement coordinator. Eagle Palms are awarded for each 5 merit badges you earn beyond the 21 required for Eagle. You can earn as many as you want. I have heard that there are scouts who have earned every badge. Go for it! Is there a guide for new counselors? Yes. Go to BSA National Council Introductory Guide for Merit Badge Counselors. If you have completed a badge and no longer have use for your book, please consider donating it to Troop 195 so we can build up a sharing library for other scouts to use. You can find the latest badge requirements on line at www.meritbadge.org or http://usscouts.org/meritbadges.asp along with helpful worksheets, links, etc. Each badge also has a printed merit badge booklet available at the Council store or we may have a copy in the Troop library.